Written on the Trans-Siberian Railroad somewhere between Novosibirsk and Moscow. Just had to mention that! At left is a page from a dance manual published in Philadelphia in 1904: Dancing Without an Instructor, by one Professor Wilkinson. This is one of the challenges I gave to the students in my just-completed reconstruction class in Novosibirsk. Could they reconstruct this version of the racket? If you want to test yourself with it, click the image to enlarge it, but before diving into the technical details of the dance, take a step back mentally and read through the instructions as a whole. Notice anything weird? Don't click through to the rest of the post until you think you've got it. Five steps (or movements) in a dance do not necessarily imply 5/4 or 5/8 time. Right & left: hands or not? By the mid-nineteenth century, the only American dance manuals that contain large quantities of contradances are those from the New England area. Others may have a few here and there, but not the pages and pages of them, or entire manuals of nothing but contras. And, alas for reconstructors looking back 150 years later, the authors simply don't bother to explain how to do specific figures. Presumably, everyone knew. For most figures this isn't a particular problem; they're self-evident from the name or unchanged from earlier eras. But there is one figure that is especially ambiguous to dance historians, and that is "right and left" or "rights and lefts". The major reason for the ambiguity is good old Thomas Wilson, a dancing master in early nineteenth-century London and a prolific author. 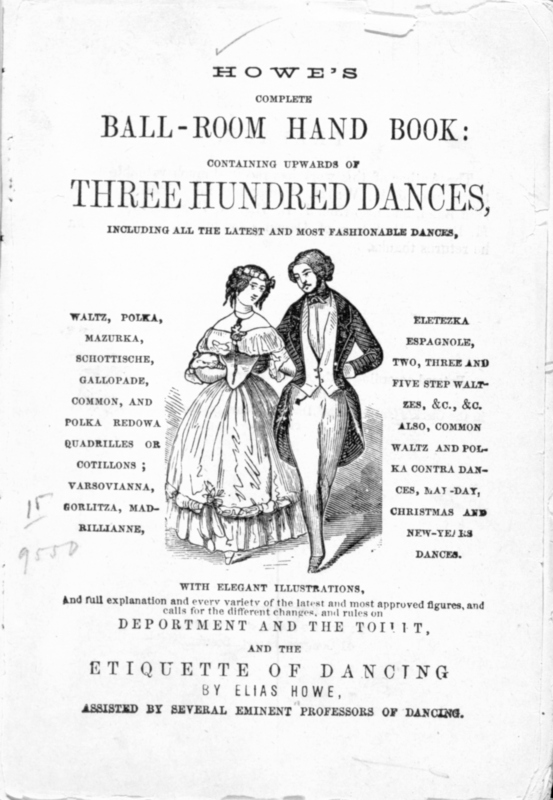 Wilson wrote some of the most useful books on English country dance in all of dance history, with explanations, diagrams, and occasionally even steps for each figure. But he had a somewhat unusual take on right and left. At our recent Regency Assembly, one of the dancers challenged my call of a "half figure eight" in a country dance, asking why it wasn't called a "figure four". Casey, being an experienced dancer, knew exactly why, but he has excellent comic timing, and the comment broke up the room for a moment. A geekier question would be why I was using the term "half figure eight" rather than the more typical plain "half figure". That was for added clarity for modern dancers, who may not be as familiar with the nuances of Regency terminology, in which a sentence like "The figure of the dance is a double figure made up of five figures, the first being the figure" makes perfect sense. Since it doesn't for everyone, let's figure out all those different usages of "figure"! Although every Country Dance is composed of a number of individual Figures, which may consist of "set and change sides," "whole Figure at top," "lead down the middle, up again," "allemande," "lead through the bottom," "right and left at top," &c. yet the whole movement united is called the Figure of the Dance. -- Thomas Wilson, in The Complete System of English Country Dancing, London, c1815. There's a popular dance in the modern English country dance community which I often cite as a dance that has a Regency "feel" to it, albeit with some quibbles about the details. That doesn't make it a Regency-era dance (it's decades too early), but it's an earlier version of the same style popular in the Regency and uses some figures that remained popular into the first quarter of the nineteenth century. That makes it a reasonable dance to use for a Regency/Jane Austen event in the absence of dancers and/or a caller who can handle dancing in actual period style. But it doesn't make the modern dance a good historical reconstruction even for its own era (leaving aside how close that is or isn't to the Regency era) without some major fixing up. Two figures that turn up frequently at the end of country dances in the Regency era are "Swing Corners" and "Turn Corners". The two are not interchangeable; in the early nineteenth century, "swing" meant to turn by one hand and "turn" meant to turn by two hands. That's not the only difference between the figures, however. I recently had the opportunity to reconstruct and teach a Lancers (Quadrille) variant created by New York dancing master Allen Dodworth and published in his lengthy Dancing and its relations to education and social life in 1885 as "Dodworth's New York Lancers." The figures are easy ones which make a pleasant change of pace for those accustomed to dancing the popular standard Lancers figures or their Saratoga Lancers variant. They are also the same length as those of the standard Lancers, though sometimes fewer repeats are needed, so they can be used with many existing Lancers recordings. I thought it would thus be interesting to take a look at the New York Lancers figure by figure and side by side with the usual figures to see exactly how Dodworth went about creating his version. Recently my English friend and fellow dance teacher/reconstructor Colin Hume asked on the English Country Dance mailing list for help on some American dances he plans to teach later this month at a festival. He posted his notes (the final version is now up here) and asked for advice, since he's not a specialist on historical American dance. I do a lot with quadrilles (French, American, English, Spanish, etc.) so I pounced on the challenge of the 1858 set he proposed to use, the Belle Brandon Set. 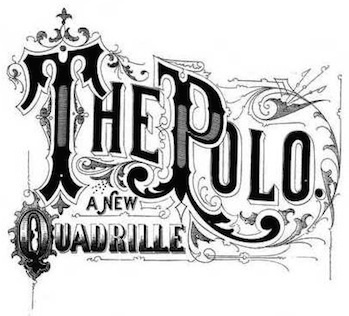 This five-figure quadrille is drawn from Howe's Ball-Room Handbook (Boston, 1858) by Massachusetts dancing master and music publisher Elias Howe. The first four figures were fairly straightforward, with the first three being pretty much the usual figures of the "First Set" of quadrilles that had been popular for nearly half a century when the manual was published. Interestingly, they were a more old-fashioned version than those which were popular in the mid-century and which Howe prints elsewhere in the same manual. Tell-tales include the use of "balance and turn partners" instead of a long balance figure and, in Figure 3, two people crossing back and forth and forming a line rather than four crossing back and forth and going into a basket formation. It had been common practice from the 1810s onward to use three of the standard figures and then vary the last two, so this set is well within the quadrille tradition. But the fifth figure proved a real challenge to reconstruct. One of the difficulties in reconstructing 19th century quadrilles lies in the frequent inadequacy of the instructions for the figures. This might include the lack of information on the amount of music occupied by a particular figure, unspoken assumptions about what is included in a figure, completely omitting a necessary figure or instruction, and the use of unconventional figures or timing. One might simply ignore such dances, as there is hardly a shortage of quadrilles which lend themselves to straightforward reconstructions. But for the dance historian it is an intriguing mental challenge to wrestle with these quadrilles and come up with workable reconstructions, even if at times this involves some creativity in the interpretation of the instructions. Among these reconstruction challenges is the quadrille described in the notable mid-19th century source, Alice's Adventures in Wonderland (Charles Dodgson, a.k.a. Lewis Carroll, 1865). 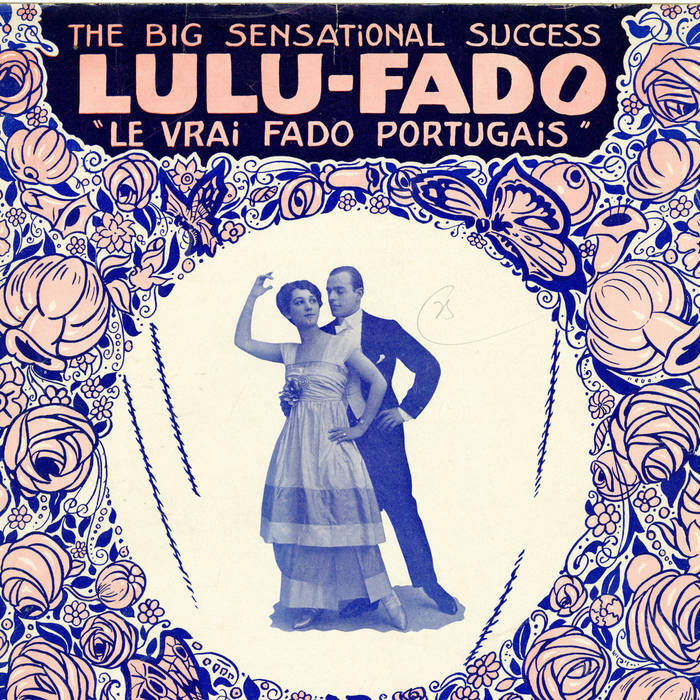 Popularly known as the Lobster-Quadrille, it is notable both for its specific geographic requirements (it is impossible to perform the figures anywhere other than the seashore), its unusual partnering (every couple must include a lobster), and its unique figures, such as the swimming somersault. One year ago today, I hugged my dear friend, teacher, and mentor, Patri Pugliese, good-bye and walked out the door to run a Regency-era tea dance. The dance was remarkably successful, but when I came back to tell him about it, he was gone. Yesterday, I ran the same dance. It was even more successful this year. I will never again have the joy of sharing my dance accomplishments with Patri, but today, in his memory, I'm going to talk about three lessons I learned from him about dance reconstruction. ... together with the printed Directions appended, will enable any person, by marking the Figures on a floor, to perform them correctly without the aid of a Master. 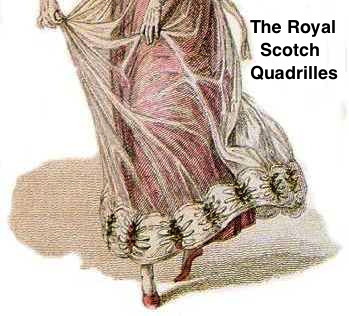 Quadrilles, the ancestors of the modern square dance, were popular in England from the 1810s onward, displacing the longways country dance from its former preeminence in the ballroom. Wilson’s diagrams and directions are in fact quite helpful in deciphering many of the figures needed for the Regency-era quadrille, but he does have occasional failures, as in the figure “L’Etoile” or “The Star”.